Blue Moss Cypress is also know as Boulevard Cypress and Chamaecyparis. 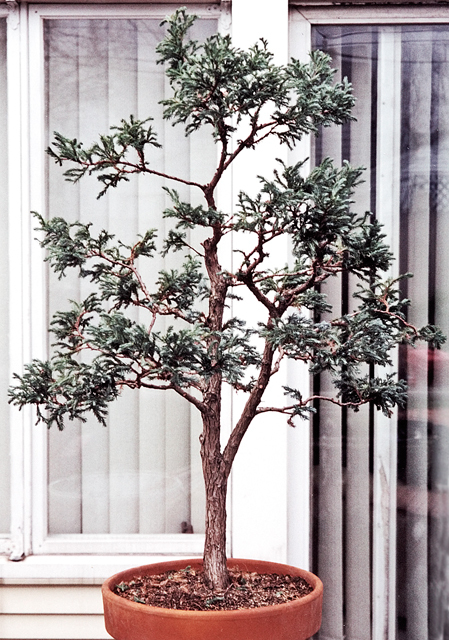 This bonsai was purchased in 1998. By April 2000, the tree was loaded with dead needles and all the branches were spindly. This is what it looked like after all the dead foliage was removed. In April 2002, not much had changed as a result of "just letting the tree grow". It was still a spindly ugly tree. After loosing four years, the decision was made to take more decisive action. So the Blue Moss Cypress was cut back drastically in hopes of generating back-budding. Wow! What a difference a year can make - if you take the proper actions. The growth was dramatic! 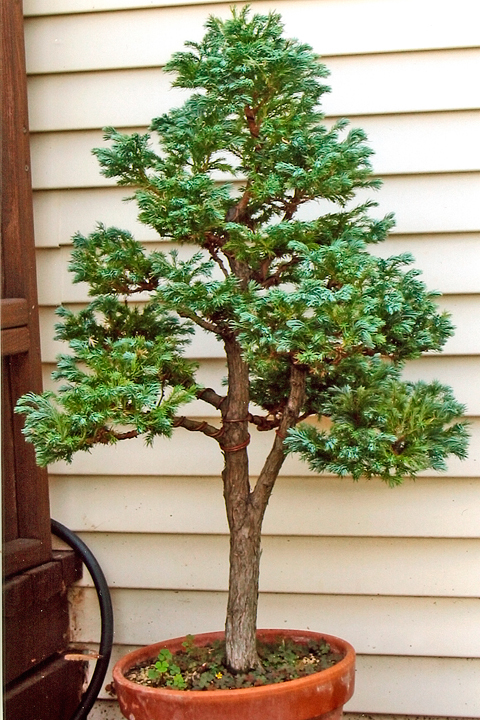 Blue Moss Cypress really reacts well to severe pruning. The photo at right was taken in August of 2003. 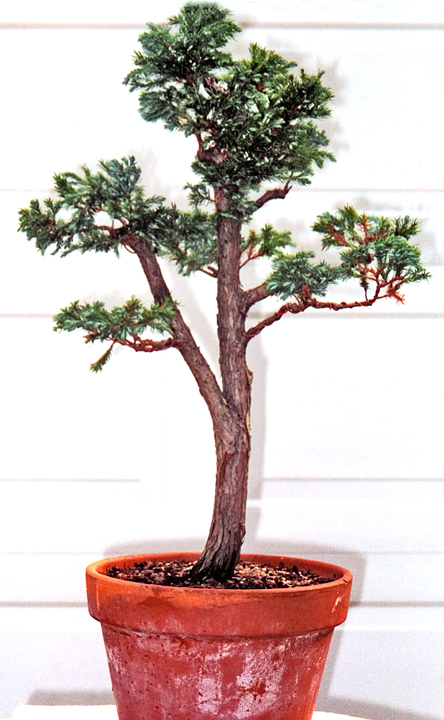 Here is a current photo of the Blue Moss Cypress Bonsai in a new pot. During the last five years a good deal of foliage pads were lost when the tree was not trimmed sufficiently to keep sunlight getting into the foliage. This species is a prolific grower and needs constant pinching. 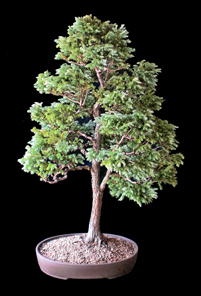 The effort will be rewarded with a nice bonsai. Today this bonsai is 21" wide and 32" tall.